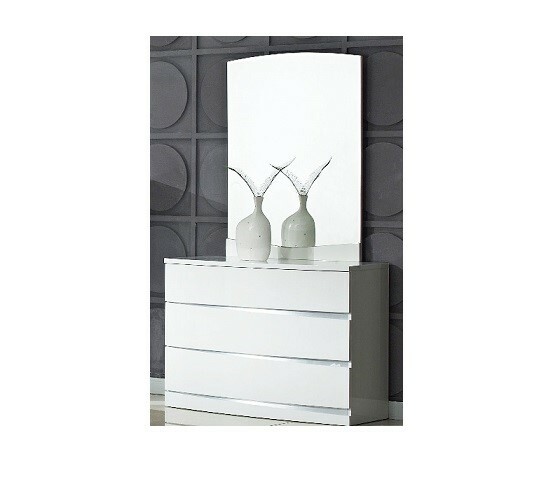 A visually stunning piece, the Arden Chest of Drawers of perfect for any modern, stylish Bedroom. This unit has three drawers, offering plenty of storage and a wide top for photos, lamps or plants. The Cherry High Gloss finish has an elegance and grace, and with integrated Drawer handles it has a minimalist design. Also available in a three-drawer design as a complementary price or on its own to fit within a smaller room.